Pizza shops are like any other business. They require a good amount of public outreach to thrive. A very good way to go about getting public awareness for very little effort and cost is through a text campaign. It’s pretty simple. You ask customers if you can place them on a messaging list for deals and coupons or other special offers. If thy agree, and most people will when you’re giving them something great, you then send them well chosen and timely text marketing campaigns. For example. It’s Friday night and you need more customers to fill the joint. You send out a special text message to those on your list for a pizza dinner. To increase appeal you could theme the SMS titles and offers. It’s the Friday Night Fight… who will win? The cheese and pepperoni medium or the large cheese? Both are 7.99 for text customers only! This is just one amazing example of an offer that can attract a crowd through the door. It’s a holiday, you have a holiday special to entice customers. Halloween specials include candy. Christmas comes with candy canes. Valentines you have a lover’s deal and a heart shaped pie for two. People love holiday specials. People love feeling special. Make them feel like this way and they will remember your business fondly. There is much more that could be done with such a text marketing list. Better understand your buyers by using their phone numbers to track buying habits. With such information you’ll be more prepared in your buying habits for supplies. A customer who wants text messages for pizza is the kind of person who often buys pizza. If you know what he likes to buy then you will be less likely to not stock enough of the preferred orders and not over-order less popular items. To help convince people to sign up you offer incentives. Give free fountain sodas to people who get friends to sign up for your messages. If they sign up ten friends to the list, make the offer even more appealing, say they get a free T-shirt. The cost is low to you but the benefits are nothings short of extraordinaire. The T-shirt doubles as free advertising. Even if the new people only order a few times or once the information is still in your system you can still track buying habits and have produced results. To close, adding a text marketing campaign to a pizza shop’s advertising makes great sense. It’s low cost so even those who are new to the business or on a strict budget can afford it. It’s low effort when combined with other marketing campaigns so its not going to take up a great portion of your day. It has added benefits of costumer information aggregation and trend tracking. 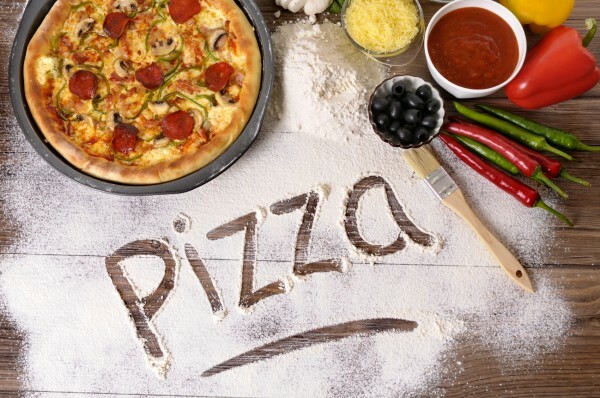 It’s a win-win scenario that both consumers and the pizza shop owners will appreciate.